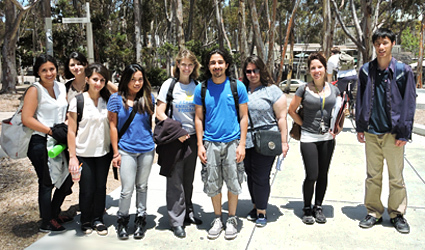 The Summer Transfer Ahead Research Training (START) Program offers an introductory research experience at UC San Diego to incoming transfer students the summer prior to their first fall quarter at UC San Diego. In 2017 the program will focus on neuroscience and bioinformatics. Students accepted to START are provided with a housing allowance and a modest stipend. START’s primary goal is to introduce participants to current biological research, and to provide training in useful laboratory tools as well as quantitative data analysis and modeling. 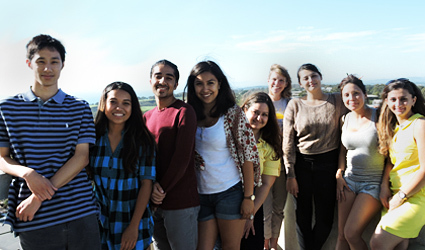 START is designed to help transfer students in obtaining laboratory internships at UC San Diego, which are a key component of a successful undergraduate experience for Biology majors at UC San Diego. 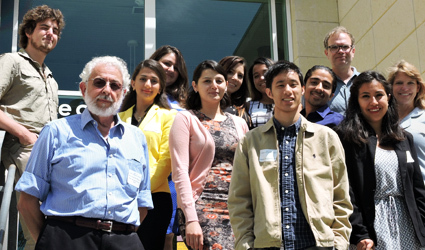 During your first quarter at UC San Diego, you will work with program faculty and staff to obtain lab placements at UC San Diego and to explore graduate and professional opportunities in biological sciences. Morning lectures introduce participants to on-going research in the biological and biomedical sciences, as well as bioengineering. Afternoons will be spent in the lab. Students will also learn how to read and discuss primary research literature and create research presentations. Students will also participate in several components of the Summer Research Program (SRP), which provides professional development activities. Participants in the START Program will receive a stipend during the 6-week summer program. The program continues during the academic school year as well, with periodic meetings and additional activities. Applications will be reviewed on a rolling basis; it is therefore advantageous to have a complete application submitted as soon as possible. THE FINAL DEADLINE FOR RECEIPT OF ALL MATERIALS IS JUNE 2, 2017. The START Program involves intensive full-time work 5 days a week. Accordingly, participants cannot work or take summer classes during the program. The program begins with a 2-week module on anatomical and electrophysiological techniques for the study of identified neurons and gives participants exposure to lab culture and procedures. During weeks 2 and 3, START scholars will also learn how to use bioinformatics tools to explore large genomic and transcriptomic databases and will participate in annotating new genomes. In weeks 3 and 4, participants image and analyze quantitatively brain tissues for the effects of experiencing different environments. In the final 2 weeks, students will create a research proposal that uses the tools they have acquired during the initial 4 weeks to address a selected question, and will carry out experiments to obtain preliminary data for their proposal which they will present at the end of the Program. Applicants for the START Program are also strongly encouraged to apply to the Summer Transfer Academy. That program offers courses that contribute significantly to the fulfillment of the lower-division coursework requirements for Biology majors. In order to apply, you must complete the online application. You must also have at least one recommendation from a science teacher who can recommend you for a summer research program; a second recommendation is encouraged. Using the form below will allow you to submit the contact information for your recommender(s); recommenders will automatically receive an email with instructions on how to complete the recommendation form. You should talk with potential recommenders before you submit their information. You are strongly encouraged to submit the Request for Recommendation form as soon as possible so that your recommender(s) will receive the necessary information. You may submit the Request for Recommendation form even if you have not yet completed the main application form. Both the Application and Recommendation Form(s) must be received for the application to be considered. Please note: The application and request for recommendation forms are incompatible with Mac computers using the Safari browser. Please use another browser (Firefox, Chrome, IE) to complete this application. Thank you for understanding. Fill out the online form to be placed on START's mailing list and receive program updates, including notifications about when the application is available.